Welcome to the last week of school for the year 2015! We have been busy third graders the last couple of weeks! Please look forward to a note coming home later in the week about students bringing a bag full of choice books home to read over break! Also, we will be sending one more newsletter home towards the end of the week with some fun resources that students can access over the two weeks. 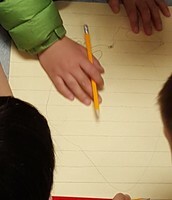 This quick video link matches the picture for revising. It is Ruth Ayres and she explains how we revise everyday in common ways. It is a nice visual for students to notice how they use revision in their everyday lives. 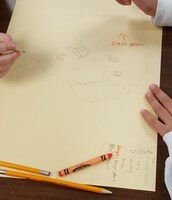 Students are collaborating in groups to develop their own island with natural resources and man-made buildings. They have to determine what is important to survive. 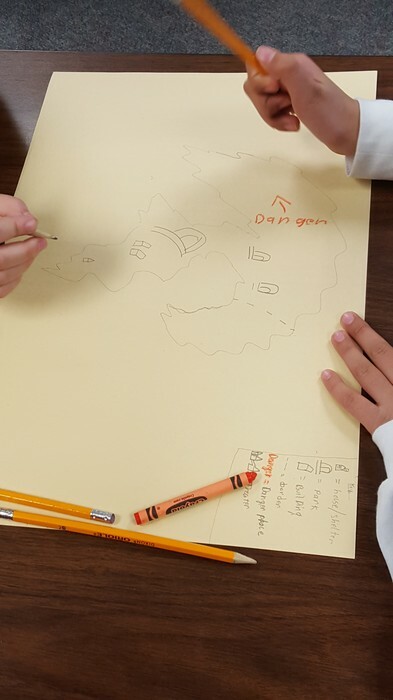 Students are figuring out what they need to plan a draft of their island. 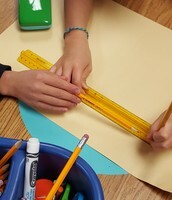 Some are using tools to measure out their buildings and space. Why do maps have a legend or a key ? What are they used for? 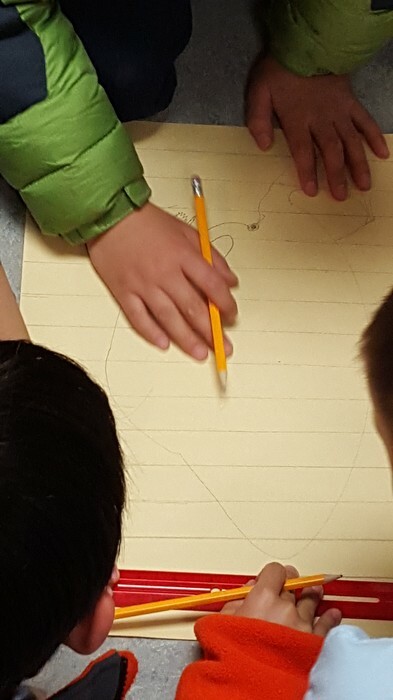 This discussion has made us think about what our maps need. Do you have any maps at home? Do what characteristics do they have? 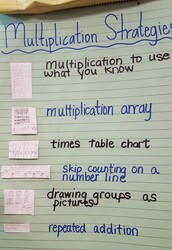 Moving forward into multiplication has been an exciting and comfortable transition! Students are excited to learn and show off their multiplication strategies! 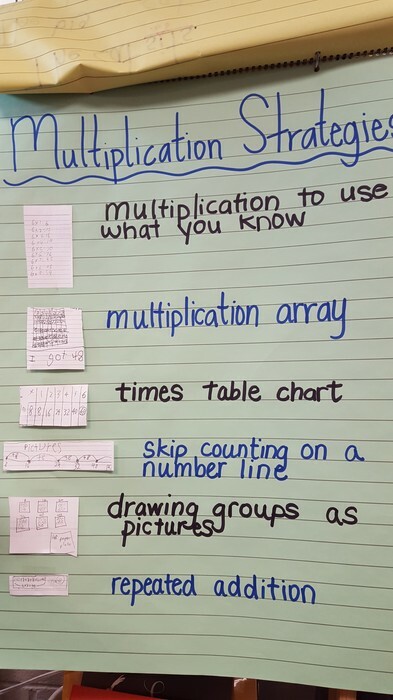 These are student generated strategies for multiplication. 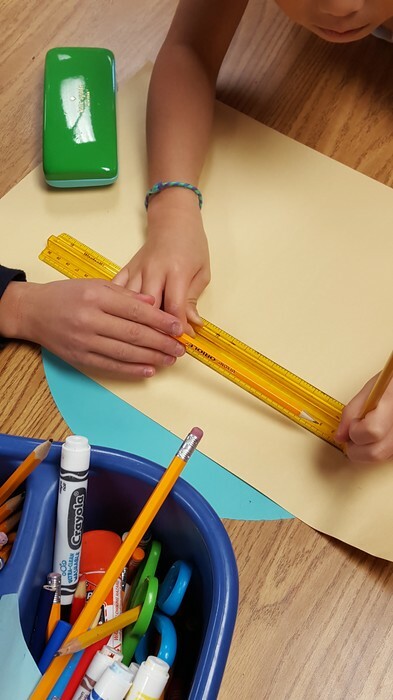 The goal is that students find what works for them. If students are stuck, they can refer to this chart and try a strategy of their choice. Please refer to this at home as well because these are familiar and comfortable to our students. Look below for a close up! Subitizing is immediately knowing how many items are within a picture or visual. We have been using these cards for multiplication practice. 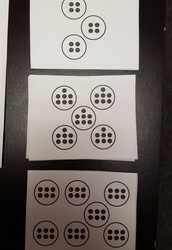 We flip one over for 5 seconds and students should be able to "see" 5 groups of 7 which is 5 x 7. 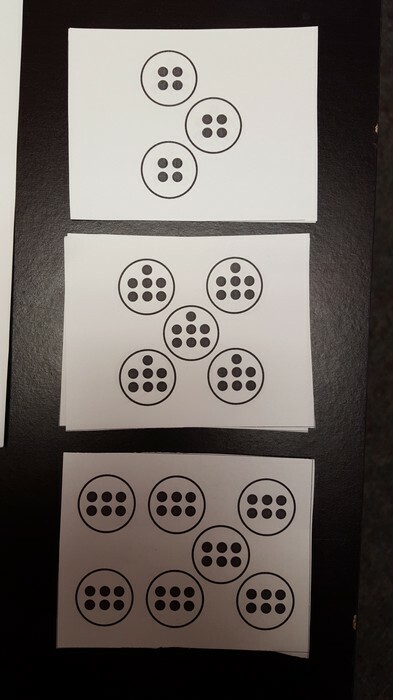 These can act as visual flash cards for students to use number and quantity to help with retention.